In today’s times, companies do not merely want to hire those people who are extremely well educated and have an extremely impressive resume. They prefer to hire individuals who are well rounded and are not merely book smart but street smart as well. Emotional intelligence is something which not merely helps you immensely when working in the professional field but it also helps you to understand other people and be sensitive to their needs as well. 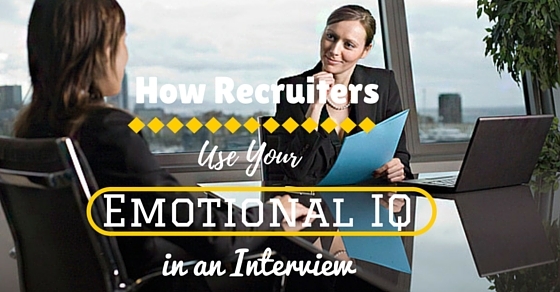 Given here are some of the main ways, how interviewers will try to use your emotional iq in an interview. Emotional intelligence at work is not something everyone has been blessed with, so ensure that you answer all questions in a proper manner. How to Test Emotional Intelligence in an Interview? The following mentioned are few tips to conduct emotional intelligence test in an workplace. In the course of an emotional intelligence interview questions, the interviewer must test the emotional intelligence of an individual primarily from the answers which he gives to questions which are being asked. The answers which an individual gives may not reveal who is as an individual exactly, but it is bound to atleast give some idea about the person’s emotional iq. If a person has a low emotional iq or an emotional iq which is not very well developed, then that is something which could cause a fair bit of trouble in the workplace. Asking situation based questions and noting how the individual answers, is a good way to test emotional iq. To test the emotional intelligence activities of an individual in the course of an interview, you must carefully observe the individual and listen to whatever he is saying. Even if there is no issue at such in the office, pretend as though there is some small matter and see how the individual is about to respond and take control of himself and the external matter. Someone who has a high emotional intelligence is not merely able to manage his own feelings and emotions but is also able to recognize how others are feeling and try to calm them down as best they can. 3. By asking the interviewee what makes him or her laugh? A great index to measure an individual’s emotional intelligence is by asking him or her a question pertaining to what makes him or her laugh. Based on his answer, you will be able to tell just how emotional intelligent he or she is. If the thing which makes him or her laugh is genuinely funny, then there is nothing wrong with this, but if the thing is something rather stupid and lacking in sense then it is obvious that the individual is lacking in emotional intelligence. In the course of the interview, if you find the person is laughing at silly things it is obvious that he does not have the iq which you have been looking for. Pressure is something which puts everyone ill at ease. Some people are able to deal with pressure very well and there are others who unfortunately crumble under pressure. Pressure is something which is not uncommon in the business world. Anyone who is experienced in the field will know that, they encounter pressure and a stressful situation practically everyday in the work place. Interviews put pressure on the person who is the interviewee and based on how he handles himself, you can gauge what his or her emotional intelligence is. If he is cool, calm and collected you can automatically know his emotional iq is high. If you as an interviewer want to make a note of something and get to know an individual better, it is of paramount importance that you learn to keep not merely your ears open but also your eyes open. Keeping your eyes open will enable you to take close note of the body language of the person concerned. A person who is lacking in emotional intelligence will surely betray this fact through his body language. He is bound to shake his leg in a nervous manner or display some other telling sign. Body language does reveal an immense amount about a person’s nature. 6. By asking the interviewee, what he or she is passionate about? Different individuals are passionate about various things. By asking an interviewee to speak about his or her passion, you can to some extent test his emotional intelligence and gauge exactly how passionate he is. When an individual is really passionate about something he or she need not jump out of his seat, shout in a loud voice and make a spectacle about it. The manner in which he talks and the sparkle in his eye, is bound to convey that passion itself. This is a question which is asked in almost all interviews and it is certainly not asked without reason. A question like this might seem like an irrelevant question to the interviewee, but the actual reason why interviewers ask this question during an interview, is to merely test the emotional intelligence of an individual and to understand how easily this individuals anger is set off. The manner in which the person gives the descriptions of the story, narrates the events that got him so angry and also states how he reacted or took charge of the situation will give you a fair bit of information about his emotional intelligence. An emotionally intelligent person would answer this question with immense tact, not supplying too many unnecessary details. Not every one of us is blessed with leadership qualities. Some of us have tremendous self awareness and we do not shy away from admitting that we are lacking on a particular front. Whereas on the other hand there are some individuals who have no self awareness and perceive themselves to be better than they really are. A great way to test the emotional intelligence of an individual is by asking him if he has leadership qualities in him and more important than this, asking him about the projects he led and whether he was able to take charge of the workers in a proper manner or not. An emotionally intelligent person will say how the project was smooth sailing, but a person lacking in it will see the event as being very tiring. A person who has a high emotional intelligence will most often like working in a group. Such an individual will not shy away from learning new things from others and even helping them in time of need. As opposed to this, a person who has low emotional iq will not like working in groups as he might not merely be insecure, but the thought of having to tend to his own emotions and also being sensitive to the emotional needs of others will be too much for him. This answer is bound to test an individual’s emotional iq and is bound to give a clear indication about the persons nature. An emotionally intelligent person is not merely someone who recognizes his own emotions and those of others who are in close quarters with him, he or she is also able to harness these emotions at such a time when needed in order to perform a task in an exceptional manner. So ask the question to an individual in the course of an interview and you can directly test whether his emotional iq is high or not. Take a note of whether he or she is making use of the emotions to the best of his ability, in order to stir and move you as well. 11. By inquiring about why he or she left the previous job? Inquiring about why and under what circumstances a person left his or her previous job is also a great way in order to test an individuals emotional intelligence. Ask some questions which you think are sure to stir a person who has a low emotional iq. Ask the individual about what he disliked about the boss and if he thinks that his dismissal was unfair. Once you receive the answers you can always cross check the reason for the person’s dismissal by calling into the previous office for details and information. Doing this is really the best way to test an individuals emotional intelligence. An individual with a high emotional iq is bound to be sensitive about things which he hold close to his heart. Based on the answers which you receive, you can easily test the persons emotional intelligence without much difficulty. If you realize that the issue is indeed moving and sad then you can tell that the person has the intelligence enough to mention a subject which is actually rather disheartening. On the contrary, if you note that the person speaks about something which is rather trivial, then you can easily know that such a person is lacking in emotional iq. Every individual has certain dreams for himself. Most people harbor dreams of making it big in the business world and achieving success. As an interviewer, seeking to test an individual’s emotional iq, you should make it a point to ask him about his dreams. The manner in which he reveals the details about his dreams will not merely determine how ambitious he is, but it will also help you to understand his emotional intelligence. Therefore it serves a dual purpose. Emotional intelligence is something which cannot be easily or directly detected during the interview. An interviewer must employ indirect methods like this. Any sensible and emotionally stable individual would know that, in order to live a healthy and proper life, maintaining a work life balance is rather essential. If the individual tells you that he or she never takes time off from work, it is obvious that such a person will sooner or later have a severe breakdown. People who have a high emotional iq understand this saying – “All work and no play makes Jack a dumb boy” and they never make compromises with their own health. To test a person’s emotional iq, an interviewer ought to ask the individual what event has changed him the most. People who have witnessed some serious life altering event at a tender age are more likely to be a little more mature than others who have never been exposed to the harsher realities of life. This being stated, a person who has been through a lot in his personal life is likely to have anger issues which could be triggered off with the slightest of things. These are some of the main ways in which interviews test the candidate’s emotional intelligence. Recruiters are skilled professionals who understand the importance of emotional intelligence when hiring candidates. They are able to put forth a proper front when in a serious and formal situation. If you hire an emotionally unstable individual to your company, who does not know how to deal with others or keep his own emotions in check, then that is going to cost the company in the time to come. Such individuals are the roots of a number of problems in a company and find it tough to interact with even the clients.